Power Tee – Better Practice, Better Play. - Power Tee – Better Practice, Better Play. Power Tee® – Better Practice, Better Play. Royal Oak Golf Center is the 1st practice facility in Michigan with Power Tee®! The Power Tee® automatic teeing system helps golfers build a base for excellence. It’s what Power Tee is all about – it builds skills quickly because golfers can get hundreds of more “shots” per practice session. 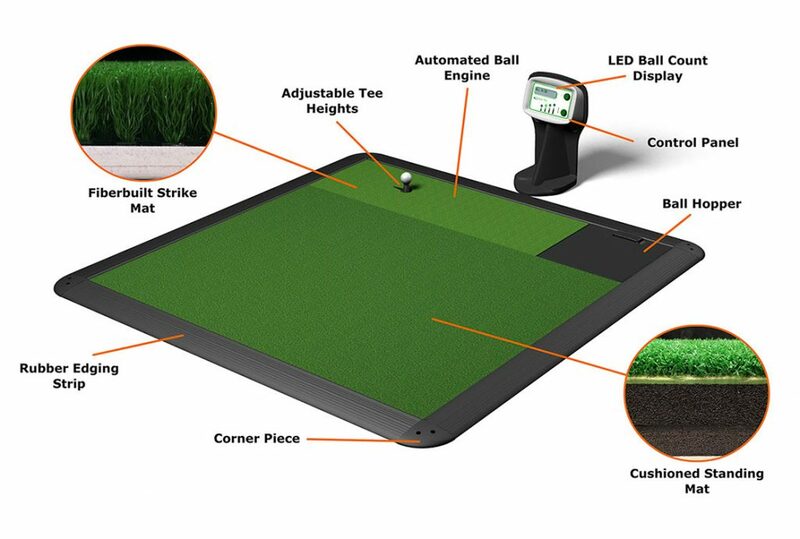 Power Tee is the number one internationally-patented automated ball teeing system in the world. It is the most productive and enjoyable practice aid any golfer can find today. For this reason, Power Tee is installed in over 60% of the golf ranges in the United Kingdom and Ireland, including world-renowned locations such as St. Andrews, The Belfry, Wentworth Club, Celtic Manor, and Dromoland Castle Golf and Country Club. Power Tee is a proven product with high marks from customers, golf professionals, and range owners. The seasoned technology works in any condition – from the sub-zero to tropical climates, and is built to withstand substantial usage. In good standing since its incorporation in the UK in 1996, Power Tee is in its 20th year of successful business innovation, and remains a world-leader in stand-alone automatic teeing systems. Simply, it is a product that benefits many subsets of the golfing industry – children, seniors, high-handicap golfers, low-handicap golfers, range/club owners, and professionals. Power Tee is in a strong position to help the golf industry grow – through “Better Practice, Better Play.” In 2016, the company will continue to aggressively pursue placing Power Tee units in a majority of golf ranges and country clubs throughout North America. For prolific practisers and professionals, the risk of injury is constant. For tour players, an injury is expensive (at best) and possibly career-threatening (at worst). Power Tee’s mat systems are engineered to hugely reduce shock and risk of any joint injury. For technical golfers who understand the dynamics of hitting a golf ball, Power Tee offers a completely repeatable environment, which facilitates experimentation and consistent repetition. REMINDER: Last round of Adventure Mini Golf is sold 1 hour before closing in order for your group to complete the round comfortably.